If you will think once about the various reason of corruption within an Outlook PST file, then you will get uncountable lists of errors and factors which can infect PST file. Some of them can be fixed by using the Microsoft KB articles and some can be fixed by following correct manual instructions or using various patches/updates. But, mostly it has been found that Outlook users don't have any prime way to rectify some errors and damaged parts of Outlook Data File. Might be, this happens due to high level of corruption or somewhere these methods do not provide appropriate solution to tackle such major issues. Therefore, we move towards the inbuilt solution of MS-Outlook which is popularly known as scanpst.exe or Inbox Repair Tool. A huge crowd of Outlook users are still not familiar with this term "Scanpst.exe" or "What it Does?" And with this concern, the next upcoming paragraphs of this article will describe each and every associated term of Inbox Repair Tool. In simple terminology, scanpst is a tool which used to identify or repair the various bugs of Outlook PST File. Let's take a more brief explanation, actually Microsoft provides a repair tool to fix the corruption of every Office products like Word, Excel and Outlook. Similarly, Inbox Repair Tool is the tool which comes within MS-Outlook and helps in troubleshooting the various Outlook errors at the time of corruption. The cause of damage or corruption within in Outlook database can be anything whether it's a software failure or hardware failure. Knowing about the complete working of Inbox Repair Tool can be a factor of curiosity for some Tech-Geeks. It's a really a big question for Outlook users that What scanpst.exe actually do to repair a PST file? 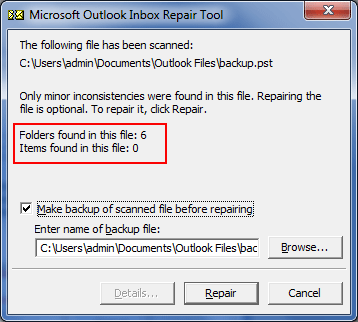 or What kind of validation or algorithm this inbuilt feature runs on data structure to fix errors of Outlook Data File? So, don't confuse and look forward to know "How Scanpst Works?" Scanpst examine the data structure of Outlook PST file and repair it where it found breakup of headers with indexed table. It mainly works on the header part of messages or email. Where to Find the Scanpst.exe in Computer ? Just copy the above given path and paste it on the address bar & reach at the location of PST file. 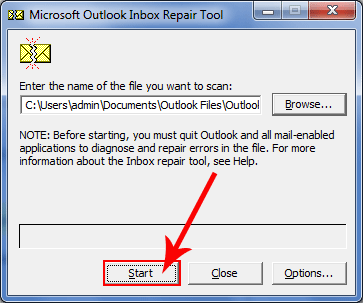 How to Run Inbox Repair Tool to Repair or Recover Outlook PST Data File? 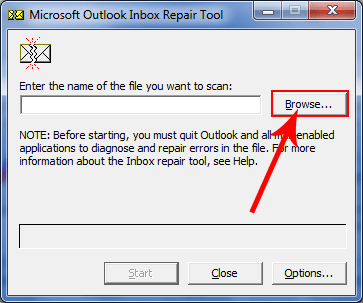 An Outlook user should aware about "How to Run and Use Inbox Repair Tools to Fix PST File Corruption?" because wrong instructions about any utility can be risky and overall it's all about your important emails. Copy the above mentioned location into the address bar and reach out to the "scanpst.exe"
Note: You can also use Windows "Run" command and Search box to find the scanpst tool. 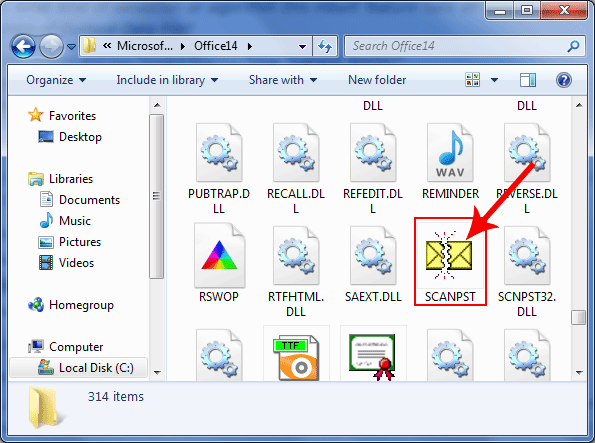 Choose the "scanpst.exe" from the "Office" folder and make a double click to execute it. Insert the corrupted or damaged PST file using "Browse" button. Begin the scanning of infected PST file by clicking on "Start" option. Inbox Repair Tool will start the scanning of PST file and usually the complete scanning depends on the size of PST File. After the complete examine of Outlook Data file by scanpst.exe, it will show the some basic details of scanned PST File. Note: A user can also get more brief information about the scanned PST file using "Details" option. This step is about to taking up a backup of scanned PST File which helps in further kind of issue. 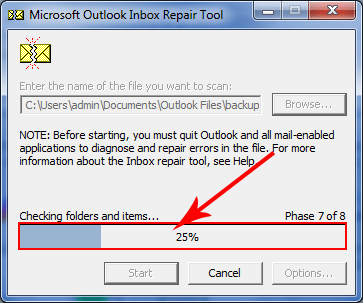 So, always keep a backup of Outlook PST file before going to repair. Finally, click on "Repair" button and start repairing the PST File. How to View Recently Repaired Data? Simply go to "Menu" and click on "Folder List" option in MS-Outlook. Through "Folder List" option, you can see the recently repaired PST file in "Recovered Personal Folders". 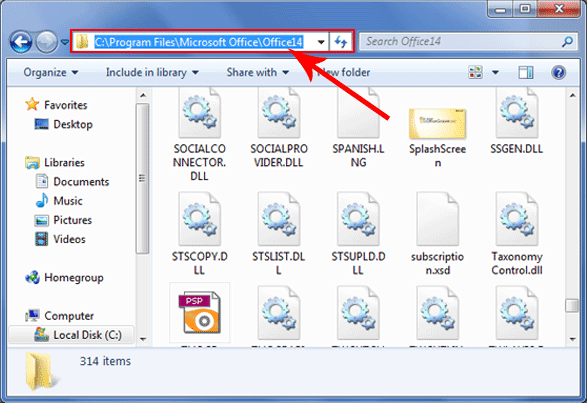 What is a BAK File in Microsoft Outlook? Inbox Repair Tool automatically creates a copy of the damaged PST file before performing repair and save the copied file like name.bak (BAK). This file exists on the same location where the PST file exists. 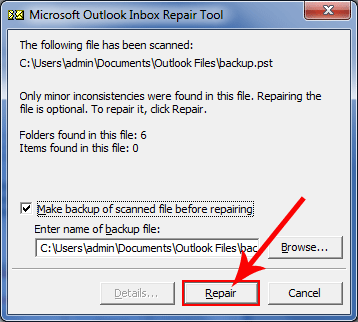 Most of the times, Inbox Repair Tools miss some data after repairing the Outlook Data File so re-performing the repair on the BAK file can revert back the missed items of previous execution. Pros: It's free and exists within the machine. Capable to handle minor level of corruption issues of MS Outlook. Cons: Not efficient to recover Hard/Permanently delete emails in MS-Outlook. Even get fails to fix numbers of errors. 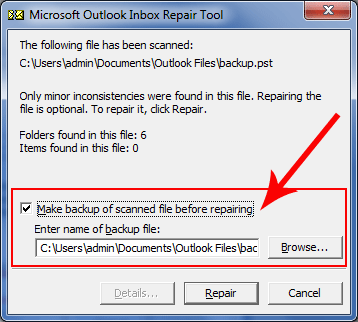 Can I Recover Outlook Permanently/Hard Deleted Emails Using Scanpst.exe? In real words, scanpst.exe cannot recover the permanently or hard deleted emails of PST File but there is a workaround (with 0.1 probability) to get back such emails by using HEXA Editor. Download the HEXA editor and open the copy of the PST file within it and overwrite some HEXA value of emails (Table of Contents). Now, the file has been corrupted because of changing the HEXA values. Thus, scanning and repairing such files could help to revert back the permanently deleted emails. Reminder: The above solution is only an unpredictable trick to recover Outlook Emails. "What to do when scanpst.exe fails?" It's a drawback of scanpst.exe that it's not designed to recover the permanently deleted emails of MS-Outlook. But, advance technology like Outlook Recovery can compile this task and successfully recover the hard deleted emails of Outlook.